The PetSafe Static Bark Control Collar is easy to use, requires no programming, and includes progressive correction. If your dog continues to bark, the static correction automatically increases to the next level until he stops. 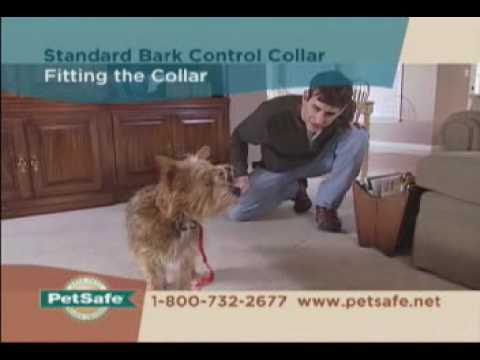 Safe and effective, the collar teaches your dog to stop his annoying barking. Proper way to put on Bark collar ? There is a video on the site below the picture of this item showing how to use collar.